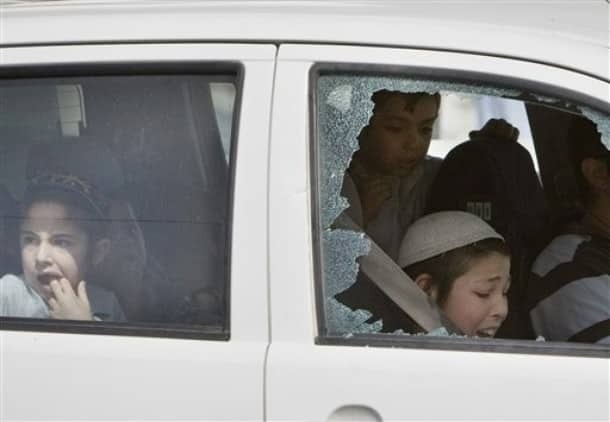 In yesterday’s post Those “Stone Throwing” Youth, I wrote that a palestinian threw a rock at a car full of young kids. It seems I may have erred. It was apparently a brick.